Browse pictures of Sign Dreamers’ yard greetings and get ideas for your perfect celebration. Learn how easy it is to start your own Sign Dreamers’ branded yard greeting business. Sign Dreamers’ yard greetings turn first world moments into third world dreams come true. Sign Dreamers is the world’s first yard greeting company with a global purpose. 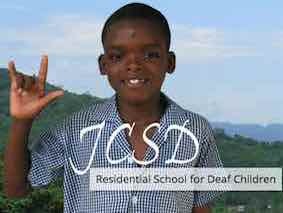 A percentage of every sign we sell helps provide education to the hearing impaired in third world countries who would otherwise be isolated from society. When you choose Sign Dreamers, you bring joy to those you love, and to those around the world who need it most. Click here to learn more about our mission. I was hosting a baby shower for a very good friend of mine when someone suggested I use Sign Dreamers for a yard greeting. Wow! Am I glad I listened to my friend. The yard sign was a huge hit and added so much fun, excitement, and conversation to the shower. It made me feel great to see how pleased my friend was with her baby shower! Sign Dreamers was so easy and friendly to work with and they made my daughter’s birthday amazing! She was so excited when she woke up and saw her Happy Birthday yard greeting it was just wonderful. The best phrase I can think of is “pure joy”. 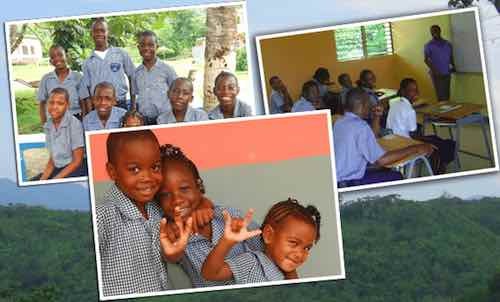 I’m also thrilled to be supporting a truly responsible company that is helping kids around the world. Thank you Sign Dreamers! 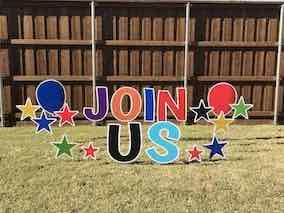 Start creating your Sign Dreamer story today by booking a yard greeting now or starting your own yard greeting business with the Sign Dreamers brand name. Want to make someone’s day? Sign Dreamers greetings are sure to bring a smile…no matter the occasion! No matter the occasion, a yard sign greeting from Sign Dreamers is sure to be a hit! 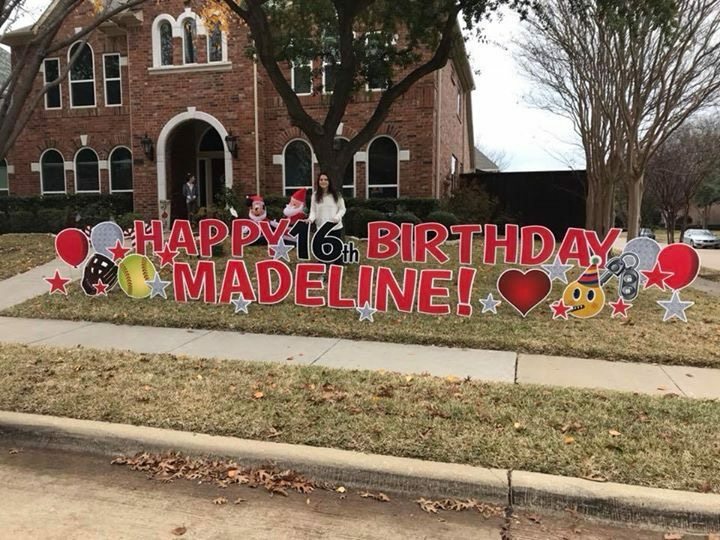 We have yard signs for birthday, graduation, anniversary, congratulations, new baby announcement, bridal shower, retirement, welcome home, open house….oh, so many occasions to shout your feelings right out front in the yard. The list goes on and on. Not sure what to say? No problem! Let Sign Dreamers provide some clever ideas. Our high-quality signs are available in large letters, numbers, symbols, graphics, and more, so you can say anything you want. We will deliver and install your lawn sign greeting where you want it located. And we’ll be back promptly to remove it at the end of your rental period. 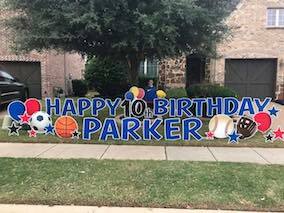 Yard Signs make celebrations extra special. Don’t delay…call today! Make someone’s day!! Start your own home-based business today renting signs & making people smile. Why not? It’s a great idea with wonderful potential. Our unique model helps you start your own yard greeting business quickly and easily. Getting started with your own yard greeting business is super simple when you work with Sign Dreamers. We provide everything you need to help you run your own yard greeting business, from the best signs, to the best support, to the best marketing insights. Sign Dreamers makes starting your own home business fun with the most beautiful yard signs in the market that make people smile. If you are interested in starting your own part-time home yard greeting business click here to learn more: Starting your own yard greeting business with the Sign Dreamers brand name.